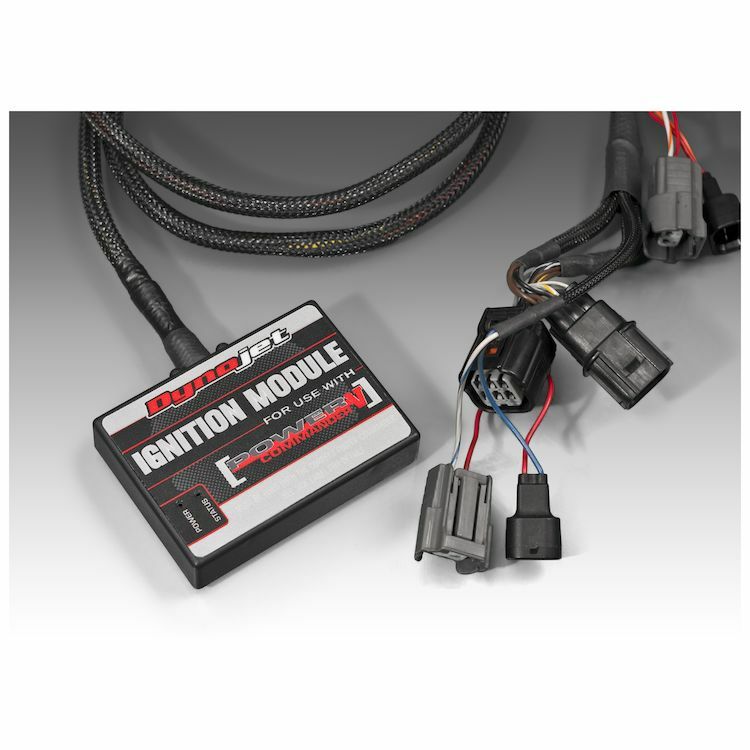 The Power Commander V Ignition Module is an add-on module for your PCV that allows you to control and adjust your ignition timing by +/-20 degrees. Adjusting your ignition timing is critical when you have modified your engine to run a higher compression ratio, boost, nitrous or higher octane/race fuel. For example, if you’ve dramatically increased the air and fuel in a cylinder, a delayed ignition would be required due to the faster burn of the mix. In addition to ignition tuning, the PCV Ignition Module features a launch limiter, otherwise known as launch control. This feature is a necessity for any club racer or pro, as many races are decided by who gets off the line the quickest. And for when you need to slow down, the Ignition Module also features a pit lane limiter mode.